Combine marinade ingredients and pour over the ribs to marinate for 24 hours. Remove from marinade and flame grill until cooked through, basting regularly. To make the salsa, toss together tomato and red onion. 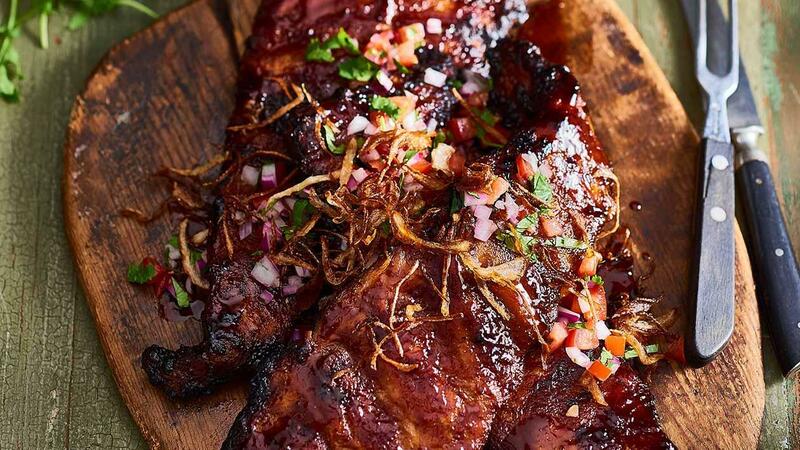 Serve the ribs garnished with salsa.